Finally — finally! — one of our favorite celebs is getting the recognition she deserves. 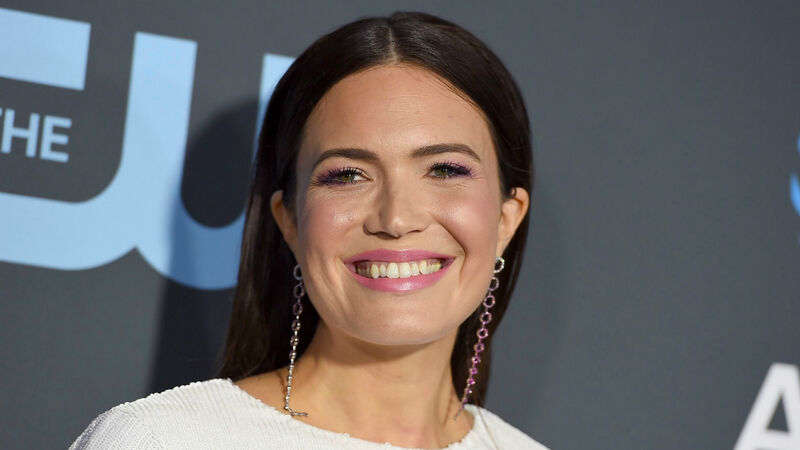 Mandy Moore is getting a star on the Hollywood Walk of Fame — and it’s about time. Variety revealed the exciting announcement on Twitter on Monday, while also dishing the This Is Us actress will officially earn her star on March 25 of this year. Based on Moore’s tweet from March 18, she is overjoyed by the Walk of Fame news. In response to Variety’s news, she wrote, “Can’t wait!” along with a bunch of party hat emojis, a most appropriate reaction if ever we saw one. As This Is Us fans know, Moore does a remarkable job as Rebecca Pearson in the NBC drama. She is beyond phenomenal and is definitely the perfect person for the job. That said, Moore is constantly snubbed when it comes to getting an Emmy nomination for her role as Rebecca. Granted, she earned a Golden Globe nom in 2017, but us fans remain bitter over the fact that Moore has yet to be acknowledged by the Emmys. Hopefully one day she’ll get that Emmy nom and win, but until then, at least her talent and how she’s contributed to the entertainment industry as both a singer and an actress is being recognized with a star after all this time. Moore also appeared on Jimmy Kimmel Live! on Monday night, and she discussed her big achievement during her chat with host Jimmy Kimmel. First of all, Kimmel revealed that Moore’s star will be located right in front of quite an interesting costume shop. You need to watch the video below to see for yourself. Secondly, for those wondering who will be speaking during Moore’s star ceremony, This Is Us creator Dan Fogelman will be making an appearance. “I’m psyched to hear what he has to say. He’s given me my life, it’s the reason I’m getting a star on the Walk of Fame,” she said about Fogelman and her This Is Us character. There’s no denying Rebecca Pearson put Moore even more on the map after all these years, all while allowing her to showcase her fantastic acting abilities. As for who else will make a speech honoring Moore, she’s not entirely sure just yet. “I don’t know who else is going to speak, we still have a couple [of] days to figure that out,” she told Kimmel. Here’s hoping her This Is Us costars either speak or show up to support her. As for her own speech, Moore admitted she’s nervous. Receiving a star on the Walk of Fame and then also having to make a speech would certainly bring on all the nerves, but there’s no doubt Moore will do an amazing job, just like she does every week as Rebecca Pearson.